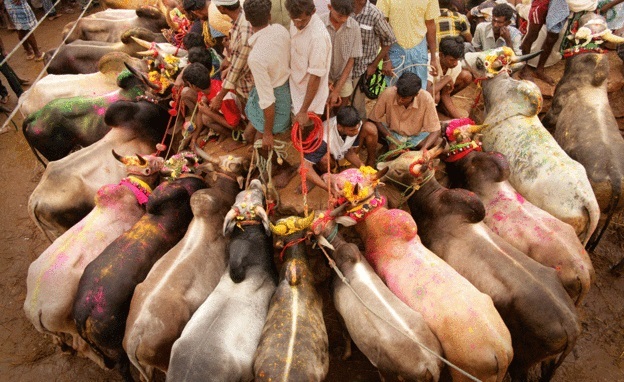 Jallikattu is a key part of Tamil Nadu’s pongal and harvest festival celebrated for thousands of years, so it should be allowed. It is animal friendly, and the bulls are not harmed. The sport gets lots of local and rural interest and provides good entertainment. Why should the wishes of the people of Tamil Nadu supersede some so called arm chair animal lovers? If the reason is love for animals, then killing of animals for meat should not be allowed? Why the over-legislation and court orders on the traditions and rituals of one community (happens to be the majority community)?